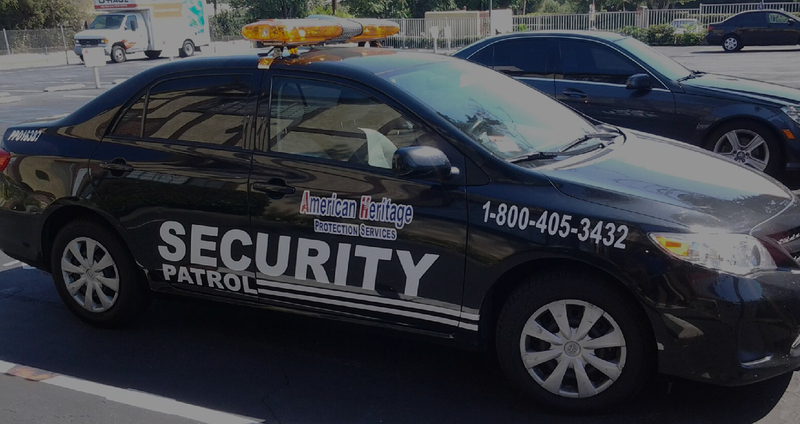 American Heritage Protection Services Inc.
"The world has changed.... and so has security in California"
American Heritage Protection Services Inc. is a leader in providing a variety of security and personal protection services including personal protection service to high-profile individuals, executives, dignitaries and celebrities. AHPSI serves institutions or business clients in need of reliable, long-term, professional and flexible security service throughout the state of California. We pride ourselves on quality service that will stand the test of time and encourage our prospective clients to call upon our expertise, professionalism, and our state of the art equipment, vehicles and communications for all members and levels of our organization Providing superior customer service and low rates along with our ability to understand our customer’s protection needs drives the success of our company. AHPSI, is one of the top professional security company that provides clients with the latest technology equipment and professionally trained uniformed security officer and patrol services 24/7. American heritage is willing to work with your yearly budget. Thefts within construction sites are becoming more and more common. No company can afford to keep replacing machinery, equipment, and other items that are targeted by criminals. With that in mind, hiring a construction site guard is perhaps the smartest option available. Security guards are affordable and effective in most cases. 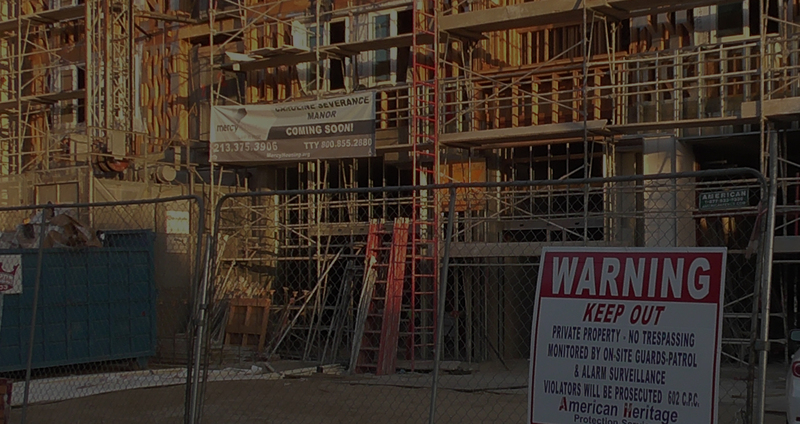 Thieves are far less likely to target a construction site with a guard. Plus, these professionals can patrol the entire site and stop any thefts as they occur. This trend will continue into the future because sites of all sizes are targeted by thieves even the smallest building projects can contain thousands of dollars worth of items.We specialize in preventing vandalism, theft, & provide security for all construction Sites. Construction site vandalism, tool & equipment thefts/copper thefts running rampant throughout the construction industry. Stop this with one call away to American Heritage Protection.We will stand post when your workers leave in the afternoon and we will be there when they will back on site in the morning! This type of "Watch" is the best deterrent for thefts. Save both time & money when you use our services. We can provide a portable security headquarters (trailer) set up on construction site; we will supply and install a perimeter alarm system customized to the needs of your site. We will provide cell phones, warning signs ,fire extinguisher ,first aid kit and such other tools and/or equipment required to monitor activity on your site. Our security officer will spend time to patrol and then to monitor the site & write Daily Activity Reports. 24 Hr Field Supervisor/24 hr dispatch. Copyright 2017 American Heritage Protection Services. All rights reserved.